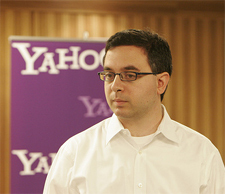 Yahoo acquired delicious in December of 2005 and we broke the news here on TechCrunch. delicious is certainly one of my favorite web applications, and I have been a frequent user since its very early days. It was also one of the first companies profiled on TechCrunch, so Joshua leaving Yahoo (and delicious) brings an end to a very long era. Yesterday we published a list of all those who had resigned recently from Yahoo, and since then we have been busy trying to keep it up to date as the news of further resignations continues to roll out. It has been a very bad time for Yahoo! recently, and things are only getting worse. I was largely sidelined by the decisions of my management. So that was mostly the result rather than the cause, if that makes sense. It was an incredibly frustrating experience and I wish I was a lot more like Stewart [Butterfield] in terms of pushing my point of view.